What made the experience of listening to The Assassin's List the most enjoyable? Relax and listen, great narration. The description of the compound, the team, loved his dog and his training. What was one of the most memorable moments of The Assassin's List? Meeting the team and their reactions. No. Compared to other narrators he is excellent. Wanted, sure too long but had long periods of listening. An exciting series making me want the rest of the series. This is a terrific book, well produced. It's the first in a series and my highest compliment would be that I am really looking forward to reading the next two in the trilogy --- and I will listen as soon as they are available on audible! Would you try another book from Scott Matthews and/or Eddie Frierson? Would you be willing to try another one of Eddie Frierson’s performances? 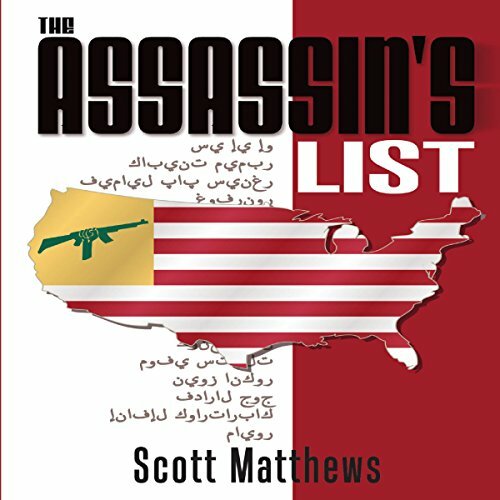 Could you see The Assassin's List being made into a movie or a TV series? Who should the stars be? A silly superhero piece of fluff that lurches deep into unbelievable. The Arab super bad guy is named Barack. I stayed with this crap to chapter 4, sorry I did.